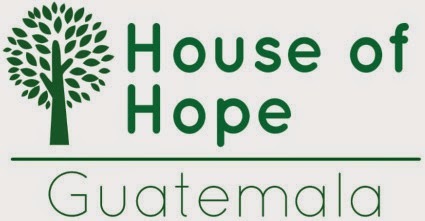 Home » destiny edwards , guatemala , humanitarianism , missions » Help a friend with a missions trip to Guatemala! Help a friend with a missions trip to Guatemala! To be honest, this is the kind of thing that I'm always leery of doing on this blog. I really do wish that I could do what I can to help everyone but there's only so much time, and so little of me, to spare toward the effort. However when such a wonderful longtime friend asked me to spread the word about what she'll soon be doing, I couldn't resist. It's an honor to do whatever I can for her and this very worthwhile effort. So it is that Destiny Edwards will soon be going on a missions trip to Guatemala, for the purpose of assisting those in need of food, shelter and educational supplies. It's in coordination with a group called House of Hope Guatemala, which helps the people of that country and especially its children. Right now Destiny is looking for physical supplies, such as crayons and pens and erasers. But there is also a financial need for other materials, including food and other educational instruments. To that end Destiny has set up a contributions page on GoFundMe for her trip. The goal is to raise $1,500 but much more would be greatly appreciated. Destiny leaves next month on her humanitarian journey: still plenty of time to make donations and help with her efforts. I can vouch for her: she's one of the most dedicated and passionate people who I've ever known and she will absolutely make the most of and be extremely grateful for anything that can help out. Thank you for your support Chris!